Team PWR is a creative group with some unique personalities. Like with any group of earthlings, that’s good—variety is the spice of life. Turns out, one perk of our diversity plus creativity, along with our dedication to exceptional tactical execution, is that we know a lot downright weird thing. For example, did you know that the letter E is the most used letter in the alphabet? Or that rounded corners drive higher engagement? Or that Tolkein drew Middle Earth before writing Lord of the Rings? Oddly enough, we do. 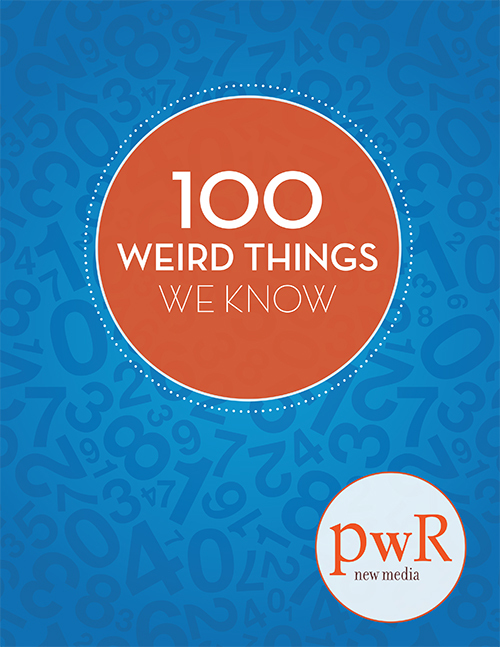 Check out our list of 100 Weird Things We Know and feel free to send us some oddities of your own.